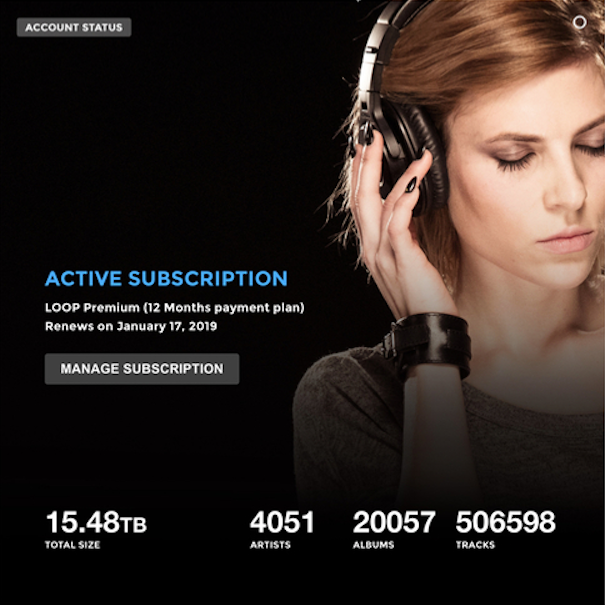 What’s the biggest online music database on Earth? You think Spotify? Or maybe Youtube? Guess no more because the first place you go to when you want to share a song you’ve composed will be SoundCloud. It has so much music that for over a decade it’s been the central hub for creative youth, music lovers and everyone who is ready to experiment with the sound. Currently, SoundCloud library has about 125 million of songs, all of them uploaded by users. I don’t need to explain to you the extent of SoundCloud’s popularity. You can find everything apart from commercial music recorded on some major labels. 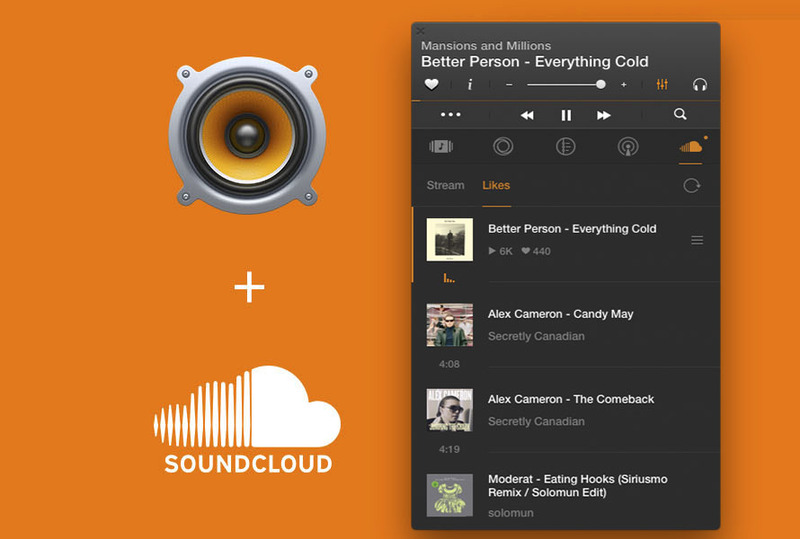 As SoundCloud’s fanbase grows day by day, more and more people use it as a primary source of discovering new music, and what 95% of users want to do is to download from SoundCloud to listen to music offline to just mix new tracks with what they have locally. However, it’s up to users who upload to choose whether to make their music available for download or not. Most likely you can only stream it, so what to do if you want to download from SoundCloud but preserve the original quality of music? Option 1. Use random websites to download separate songs from SoundCloud. Spoiler alert: it’s so annoying you that won’t stand even 5 minutes. Moreover, such tools usually convert all SoundCloud tracks to MP3 to make them smaller thus easier to download. Think about Hi-Res sound. Artists pay money to be able to upload high-resolution music; you don’t want to ignore all their efforts, do you? If so, stop downloading from SoundCloud. Option 2. 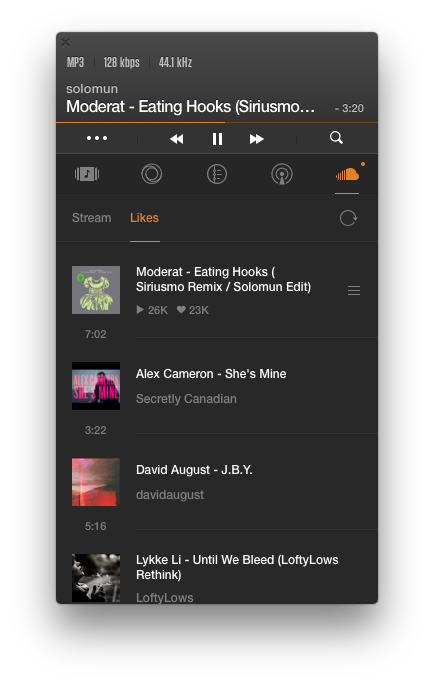 Use Soundcloud app for iOS to stream whatever you want. But there’s one ‘but.' If you want to listen to something underground and then a top band like Tame Impala, you’ll need to switch between apps, and you can’t download from SoundCloud to iPhone. Not to say that SoundCloud is pretty messy, so after some tracks by your favorite Dj from Boiler Room, you can start listening to a podcast about the construction of boiler rooms in Edinburgh in the late 80s’. It happens. That’s extremely inconvenient, so no one’s doing it. Option 3. Use VOX Music Player, your music redeemer. 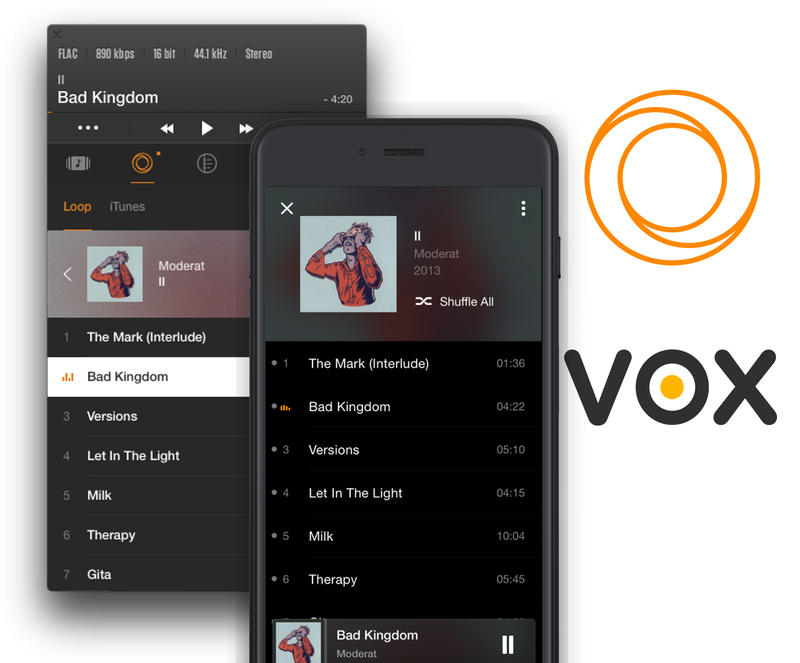 VOX Music Player for Mac & iPhone is an audio player, SoundCloud streamer and your new best friend. The player is designed to play lossless audio formats (it can play lossy as well). SoundCloud tab in the player doesn’t allow you to download from SoundCloud but stream and add songs to your playlist along with songs from your local library, iTunes, Spotify, and Youtube. In SoundCloud tab, you’ll find Stream, Likes and Search. Stream includes tracks by artists you follow. Likes is a list of songs you marked as favorite. To do it in VOX you need to click on ♥. With VOX you don’t need to download from Soundcloud because…hm…why wouldn’t you do that? Want to have that music on your iPhone? You’re welcome, why have it take up your iPhone's space? VOX lets you create unique playlists combining music from most popular music sources, including SoundCloud. When you’re on your way home, you can create a playlist, and then turn it on with real hi-fi speakers when you’re home for best music experience. It’s even better than downloading from SoundCloud. Now that you’re not going to download from SoundCloud anymore, I’ve got a birthday cake for all audiophiles. VOX syncs music collection on your Mac and iPhone, so everything you have on one device is available on another. How is it possible? It’s all thanks to VOX Music Cloud. VOX Music Cloud (formerly LOOP Unlimited Music Cloud Storage) is an unlimited music storage, which means it can store all your music regardless of how big and absolute your music library is. On average, a Hi-Res album is about 1 GB which makes it difficult to have lots of them on an iPhone. VOX Music Cloyd was designed specifically to let people enjoy high-quality sound and not worry about your iPhone's storage. My current collection counts almost 16 TB of Hi-Res music. The good thing is that uploading is fast, usually a minute for a Hi-Res album. You can drag and drop songs to VOX for Mac or use VOX Premium web account. •	No limits on audio formats. •	Mac and iPhone sync. •	Unlimited number of devices for one VOX Account. •	No sound compression, only original sound. Downloading music from Soundcloud for offline listening on iPhone is as old as last good song by Muse. I suggest you acknowledge that streaming SoundCloud is far more useful and convenient especially with VOX Music Player. What happens if you convert M4A to MP3?